Sniper Elite 4 isn't due out 'til next year (February 14th, specifically), but there's already a bit of DLC announced for the latest stealthy-sniper entry. "Target: Fuhrer", which will be available on release day and free for those who've pre-ordered the game, drops the player into a coastal facility with the goal of assassinating the admiral in charge of the joint. Well, next thing you know, Sniper Elite 4 plays the "Oh whoops, your target's been murdered by Hitler" card, and all of a sudden, you're on the hunt for lil' Adolf himself. For a glimpse of the scenery and all those hapless Nazis you'll have to either avoid or "send to the farm upstate", check out the trailer below. 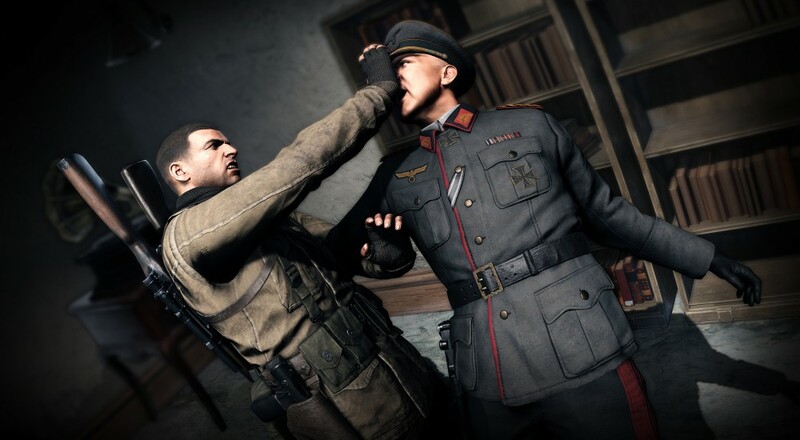 Sniper Elite 4 will feature two player online co-op when it drops on Valentine's Day, and really, I can't think of a better way to spend time with your dearest than to cooperatively hand-deliver an express order of Democracy straight into the Fuhrer's torso. Just something to think about, you know?